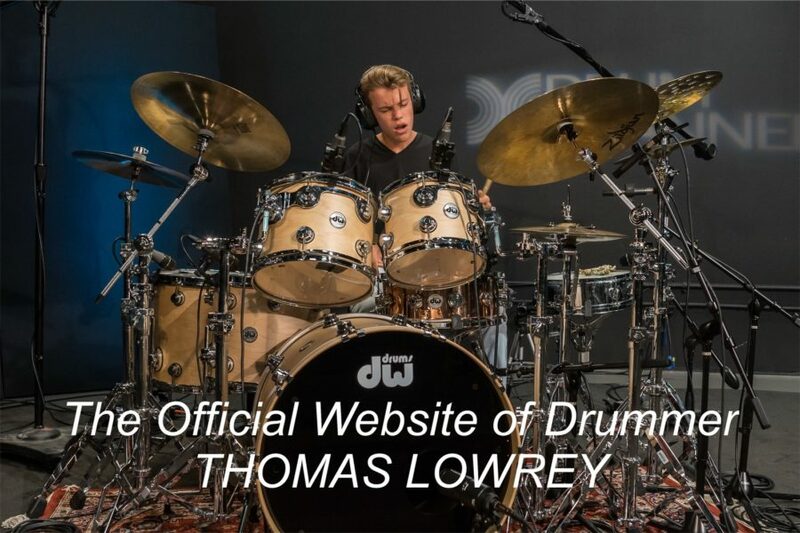 Thomas Lowrey is an American Drummer, born in 2003. He literally began holding drum sticks as a baby, and hasn’t let go! It’s just another day in Southern California, and Thomas sits down behind his drum kit. He plugs in his ear protection, picks up his sticks, and he’s off into his comfort zone. This is the same place he’s been since before he could walk, or read, or play sports. 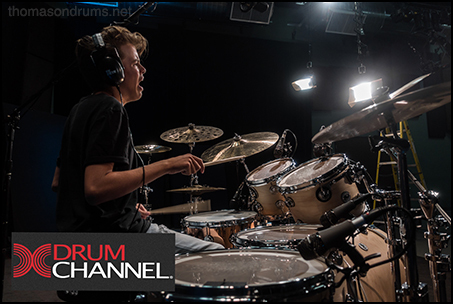 “I’d Rather Be Behind My Drums!” is his motto, and when you watch him play the drums, you can see why! 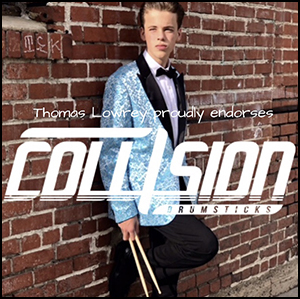 Thomas Lowrey has been playing the drums since he was handed drum sticks at 8 months old. 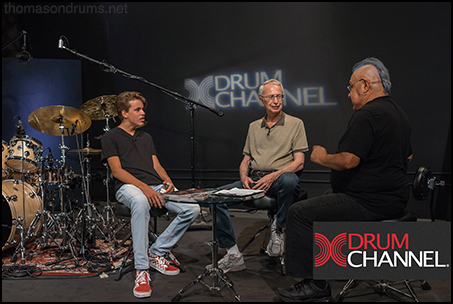 He began formal drum lessons at age 6, and played his first live shows at age 10. 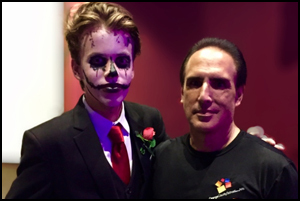 Thomas made his pro-stage debut, at age 13, as a percussionist with Johnny Vatos’ Oingo Boingo Dance Party! Thomas Lowrey was born in 2003, premature, at only 28 weeks, 5 days gestation. He spent the first 2 months of his life, in Neo Natal ICU at Children’s Hospital of Orange County (CHOC). Thomas weighed 2 pounds, 14 ounces and fought hard to survive. His lungs were under-developed. Following 2 long months, Thomas grew healthy enough to go home, thanks to God, and the doctors and nurses at CHOC! At about six months old, Thomas began physical therapy. The Physical Therapist would hand Thomas objects to hold to work on his dexterity. 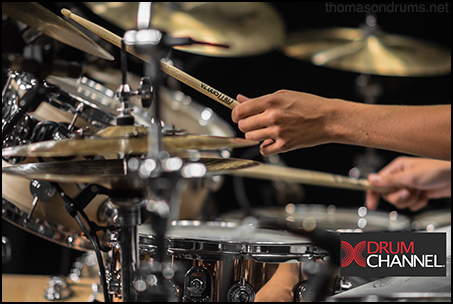 At 8 months old, Thomas’ dad handed him a set of drumsticks…that was it! By age 4, Thomas could play an impressive single-stroke roll, but he was still too small to reach the foot pedals on the drum set! By age 5, he was playing the drumset as often as he could. 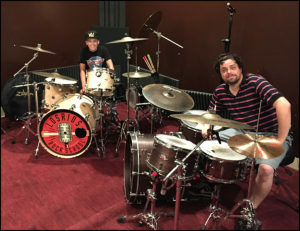 At age 6, on his first day of First Grade, Thomas began formal drum lessons at Rob Ferrell Drum Studio, in Mission Viejo, California. Thomas was still unable to reach the foot pedals! On the first day, Rob Ferrell began working with Thomas on reading and rudiments… And, yes, eventually getting to use the pedals too! 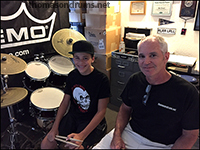 Thomas has remained with Rob Ferrell Drum Studio to-date! At age 10, Thomas joined and started playing live shows in the Performance Group at the Tustin, California, School of Rock. 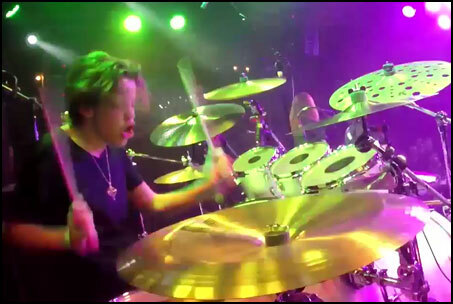 Thomas came alive on stage… and playing live with an audience confirmed for Thomas that he wanted to play the drums professionally. 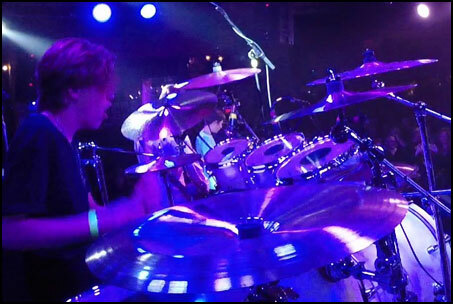 That same year, Thomas attended a Drum Demo in Hollywood, California with drummer, Shannon Larkin of Godsmack! Watching Shannon perform and speak with the audience that night motivated Thomas to work even harder toward his dream! Thomas credits Shannon Larkin for “Inspiring” him to go for it! 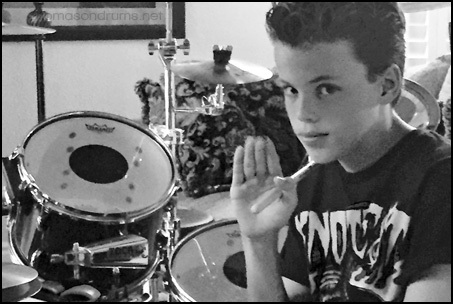 At age 11, Thomas was a Featured Artist for “Custom Stix” drum sticks web site. 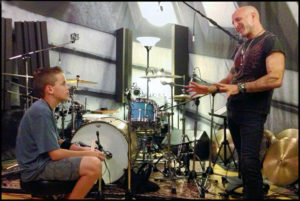 At age 12, Thomas had a private drum lesson at Uncommon Studios, in North Hollywood, California, with Kenny Aronoff (John Mellencamp, John Fogerty and many others). Kenny spoke with Thomas about the music business, and worked with Thomas on the drum set, with technique, and what Kenny calls the “cake and glue” of drumming. 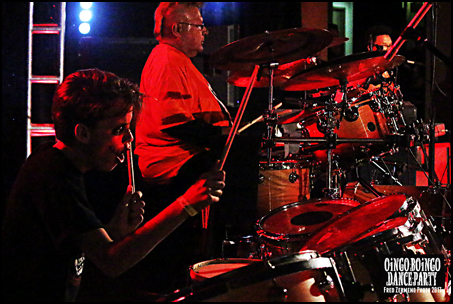 Also at age 12, Thomas met and had a private lesson, on his drum riser before sound check of a live show, with John Hernandez, a.k.a. Johnny Vatos of Oingo Boingo & Oingo Boingo Dance Party. John taught Thomas about balance and keeping time. He told Thomas, “the most important part of playing time isn’t getting there on time, but preparing on time.” Thomas had no idea that this meeting with Johnny Vatos would lead to something big, only one year later! 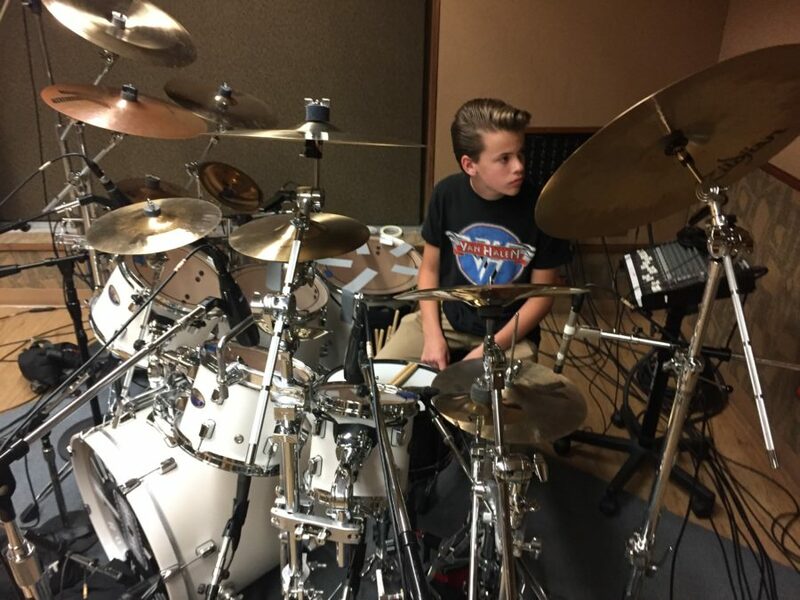 In February 2016, at age 12, Thomas left the School of Rock, and took his talent south to Los Rios Rock School in San Juan Capistrano, California. He was immediately placed in their “Advanced Red Group” and was performing on their float in a parade, and in a live show within 3 weeks of his arrival there! 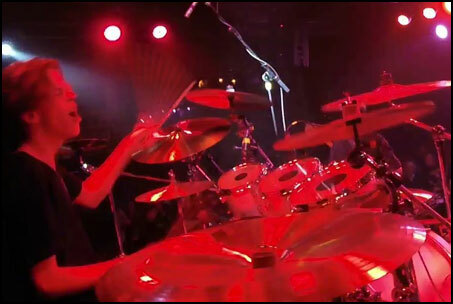 While there, Thomas was selected as their one and only “Classic Album – Van Halen” show drummer, as well as their only “Metal Band” drummer, and their only elite, “Showcase Band” drummer. 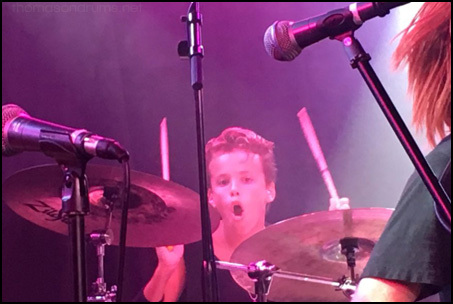 Also at age 12, Thomas jammed with professional guitarist, Nick Perri (check out the “Videos” section to see a few minutes from the jam) Nick has remained a good friend with Thomas, and they have attended each others’ live shows! In April of 2016, thomasondrums.net was created! 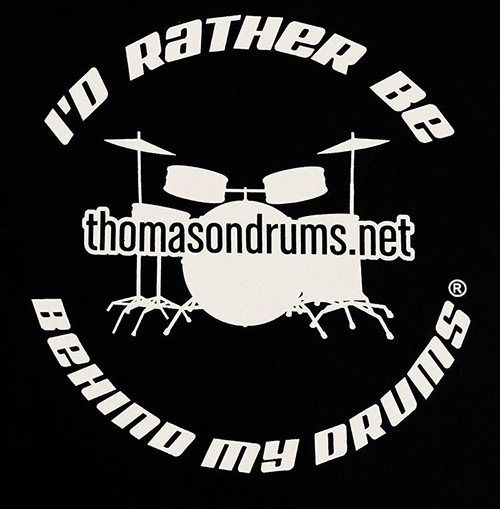 Thomas chose to use his personal slogan on the website, “I’d Rather Be Behind My Drums!” That slogan eventually (January 3, 2017), became a Registered Trademark with the United States Patent and Trademark Office. 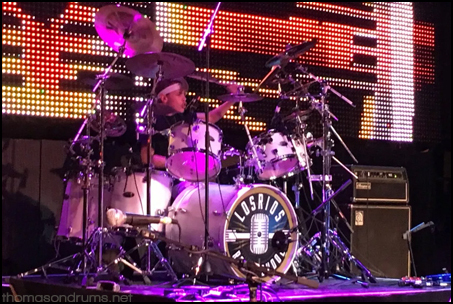 In 2017, Thomas played drums for the Los Rios Rock School’s “Classic Album” Van Halen shows. There are videos of these gigs on YouTube, and on thomasondrums.net, including an “Iso Drum Cam” video of Thomas drumming at the Yost Theater. 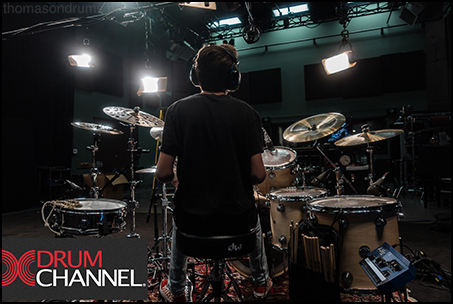 On May 3, 2017, less than 2 weeks after Thomas turned 14 years old, he played drums at Sunset Sound Studio 1, in Hollywood, California for the YouTube Program, “Produce Like a Pro” with Warren Huart. There, Warren Huart recreated and rerecorded the debut Van Halen album where it was created, in the exact same studio, using the same equipment and room set-up, in which they recorded live! Please read Thomas’ own “Blog News” of this event, in the “News” section of thomasondrums.net, and check out the videos on YouTube! 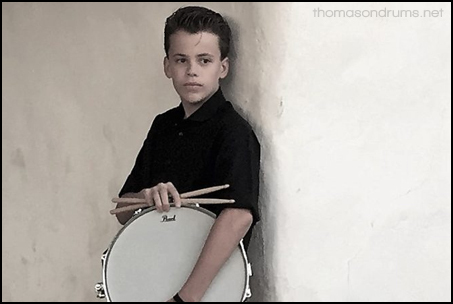 In 2017, Thomas auditioned for, and was accepted as a drummer, at Orange County School of the Arts, Commercial Music Conservatory. 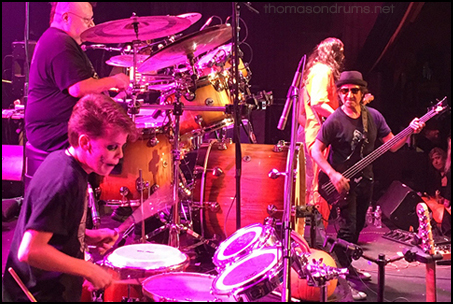 Also in 2017, Thomas played drums in the “Strange 80’s – Sweet Relief Benefit” concert at the Fonda Theater, in Hollywood, California. This was a very exciting show, as Thomas’ group shared the stage with performers like Tenacious D’s Jack Black & Kyle Gass , Weird Al, Corey Taylor (Slipknot), Jane Wiedlin (Go-Go’s), and so many others! 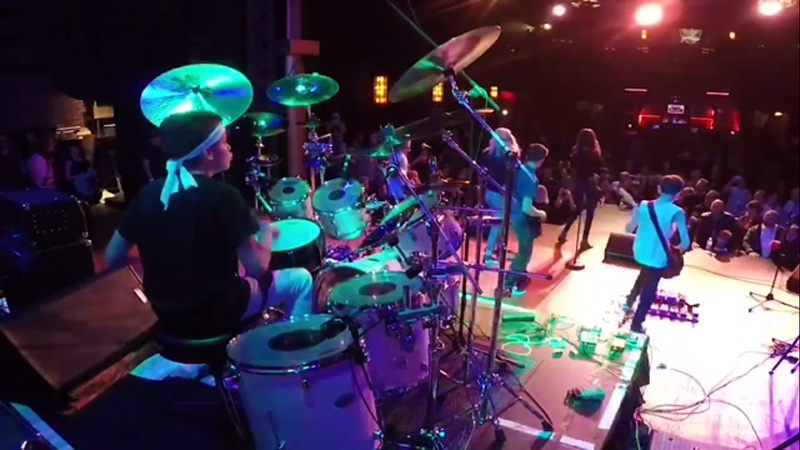 Check out the “Videos” section to see Thomas and his bandmates at the Fonda Theater! On September 2, 2017, The LRRS “Classic Album” Van Halen group opened the show for Vince Neil of Motley Crue, aboard the USS Iowa, at LA Fleet Week! This show was an honor for Thomas, performing for our U.S. Military and their friends and families. 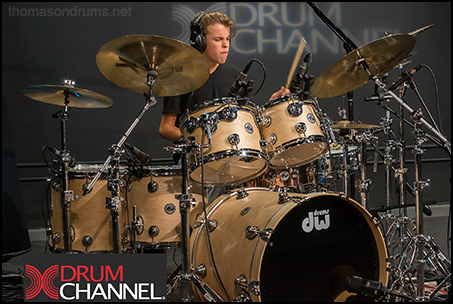 Thomas Lowrey continues on his musical journey with the drums! 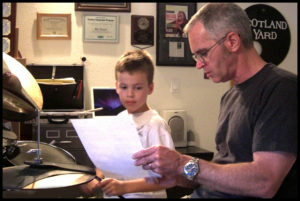 Rob Ferrell has been my drum teacher and mentor at my weekly drum lessons since Sept. 10, 2009. Rob is a professional drummer who taught me the fundamentals of drumming: the rudiments and how to read music. Rob has given me so many tips, and weekly advice about things to try to improve my drumming! He is always positive and supportive! Rob toured with his band, ‘Scotland Yard’ (and others), and still plays professionally when not teaching. In 1995, Rob was named “Country Music Drummer of the Year” by the CA Country Music Assoc. Rob is a co-founder of “the Professional Drum Teacher’s Guild of America”. He was featured in ‘Modern Drummer’ magazine in May of 2000. 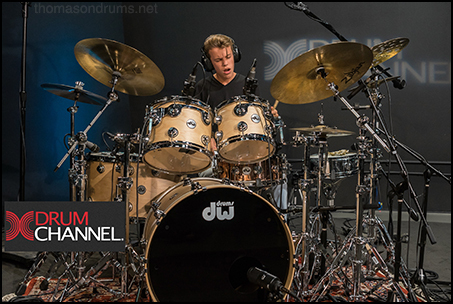 And in Nov. 2015 Modern Drummer magazine’s ‘Dom Famularo’s Teacher’s List’, Rob was listed as one of the best drum teacher’s in the world! Check out Rob at his website: Rob Ferrell Drum Studio! Anthony Vezirian graduated from The Bob Cole Conservatory of Music in 2011 with a degree in the percussive arts and has been teaching and performing ever since. 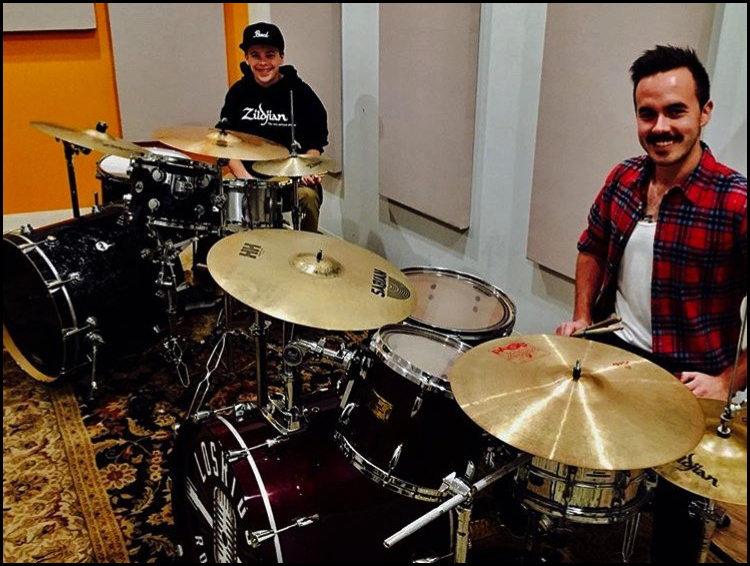 I began drum lessons with Bryan September of 2016. Bryan’s professional career as a percussionist started with touring the USA with world class performing ensembles such as Pulse Percussion and the RCC Drumline. In addition to being a top-notch performer, Bryan taught music for the Placentia, Yorba Linda School District from 2011-2016. Currently, Bryan teaches at Los Rios Rock School in San Juan Capistrano. Bryan is a highly sought after music arranger for bands, solo artists, percussion ensembles, and drumlines! Tony Torres is my drum instructor at Orange County School of the Arts, Commercial Music Conservatory. Mr. Torres is a professional drummer and educator in Southern California. With a musical career that began at the age of seven, Mr. Torres has played it all; from high school All American Band, to Buckeye State Caballeros Drum & Bugle Corps, to mentoring and teaching the future generation of artists at Orange County School of the Arts. Mr. Torres has circumnavigated the world several times, playing countless venues with ‘name’ entertainment, including Henry Mancini, Third Force, and Race No More featuring Geo Evans (guitarist for Michael Jackson and Chaka Khan). A notable force in the L.A. area studio scene, he has played on numerous jingles, film scores, and records. Given his vast knowledge of various drumming styles and musical genres, he is in high demand for corporate work as well. Mr. Torres has been teaching privately and in the classroom for the past 20 years. He has taught at Orange County School of the Arts since the inception of the Commercial Music program. I play Pearl and pdp drums. I use and proudly endorse Drum Dial Tuners! 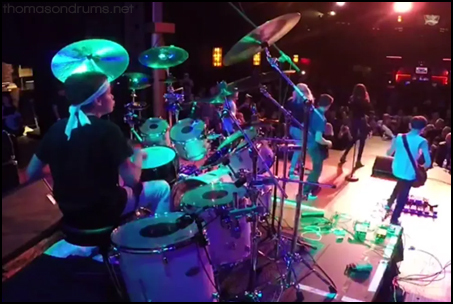 Thomas is inspired by these awesome drummers and musicians: Peter Criss, Johnny “Vatos” Hernandez, Shannon Larkin, Kenny Aronoff, Mario Duplantier, Matt Garstka, Zoltan Chaney, Alex Van Halen, Neil Peart, Thomas Lang, Mike Wengren, Ray Luzier, and many more! Coming to iTunes and Amazon Prime Video, October 2018! 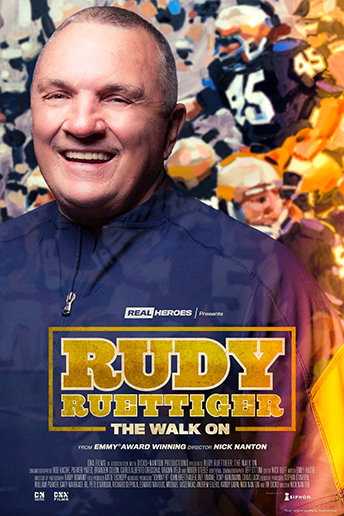 Check out the Videos section to see a promo with Rudy and Thomas! 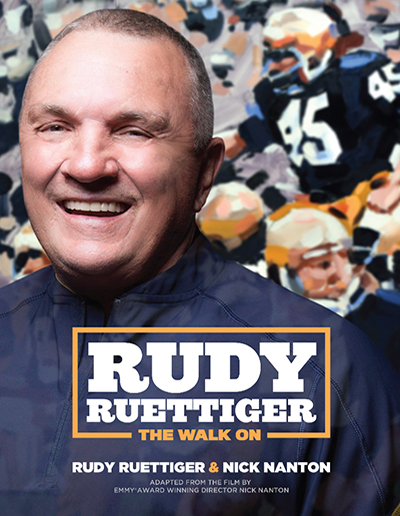 Goes on Sale August 21, 2018! *Be sure to read Thomas’ blog news about this project! The latest news from my Blog.